Grease and grime is a hazard on equipment, but can lead to corrosion and negatively affect performance, along with creating a mess in the shop that can ultimately affect the bottom line. 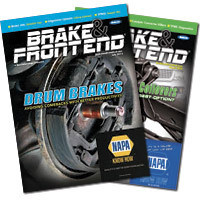 E-ZOIL released a new solution to an old grease problem. 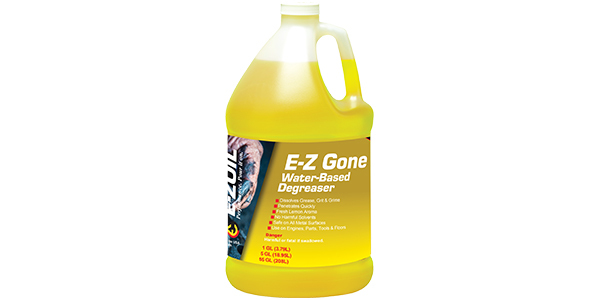 The manufacturer of performance-enhancing fuel additives and cleaning solutions introduced E-Z Gone, a water-based degreaser. Using a high-performance formula, E-Z Gone provides industrial grease removal for light to medium duty applications that delivers the power of a solvent without all the headaches. With a focus on environmental protection, E-Z Gone provides the benefits of a solvent degreaser without the harsh chemical presence. E-Z Gone is available in 1-gallon, 5-gallon, 55-gallon and 275-gallon containers, and can be used on engines, parts, tools, floors and is safe on all metal surfaces. For additional information, visit E-ZOIL.